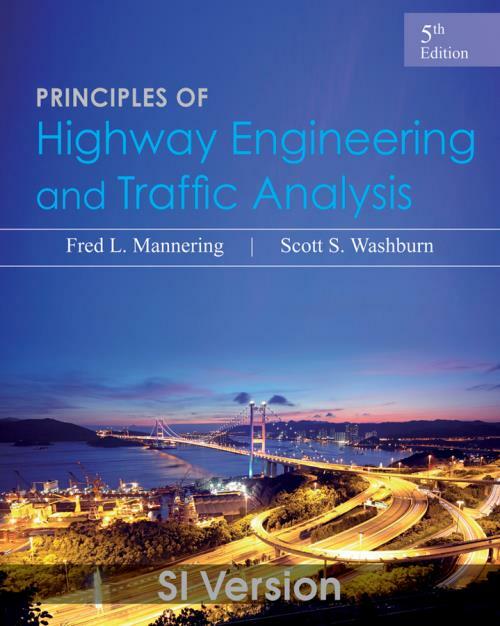 The best–selling Principles of Highway Engineering and Traffic Analysis provides the depth of coverage necessary to solve the highway–related problems that are most likely to be encountered in engineering practice. Instructors can be confident their students are learning the fundamentals needed to undertake upper–level transportation courses, enter transportation employment with a basic knowledge of highway and traffic engineering, and answer transportation–related questions on the Fundamentals of Civil Engineering and Professional Engineering exams. The new Fifth Edition is updated with the most recent Highway Capacity Manual and AASHTO Green book, new homework problems, and the text has been streamlined and enhanced pedagogically with descriptive example names and homework problems organized by text section.